When it comes to the red carpet, it’s not the outfits that really matter, and if there’s one asset that epitomises glamour, it’s a glossy, flowing mane. For the most breath-taking Hollywood stars – both male and female – it’s a lustrous head of hair that serves as the crowning glory, and beyond the red carpet, things are no different for the rest of us. Whilst a good head of hair might come naturally to many, it’s sadly not the case for everyone – but thanks to leading hair specialist, Meshkati, it is no longer an unattainable dream. 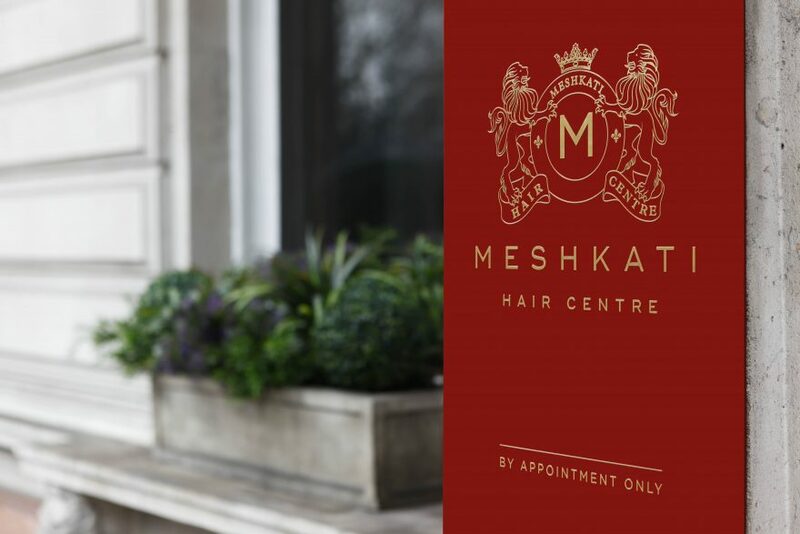 Having opened its brand new, state-of-the-art hair centre in Belgravia, London in 2016, Meshkati can be found nestled amongst the elegant townhouse residences and high-end hotels of this affluent neighbourhood, surrounded by the extensive green spaces of nearby Hyde Park and Buckingham Palace Gardens. Led by founder, Amy Meshkati, who has 30 years of expertise in biology, hair restoration and research under her belt, the revolutionary hair centre has brought innovative, high-end hair loss solutions to the capital, with a team of leading hair specialists behind it to provide advanced, bespoke and discreet solutions to hair loss in both men and women. The exclusive Meshkati procedures allow for complete hair restoration in just 20 hours, providing clients with an immediate and natural-looking result; the perfect solution for those suffering from premature hair loss, as well as for those who are looking to reclaim some of their youth. Not only do the hair centre’s innovative range of hair procedures offer instantaneous results to clients, but beyond the important technical and scientiﬁc aspects inherent to them, Amy approaches each intervention with an artistic mind – and the aim of creating truly beautiful hair. It’s not just about regaining the mane, but also getting the hair of your dreams, and Amy and her team are on hand to help you to achieve it. Amy has dedicated her life to treating hair loss, beginning her work in the ﬁeld of hair reconstitution and research in Paris, circa 1985, following on from her initial studies in biology. Passionate about the ﬁeld of hair, Amy conducted research that paved the way for exclusive hair reconstitution procedures and preventative care, and thanks to her extensive know-how, she has since treated renowned leaders and celebrities around the world. Meshkati prides itself on providing an entirely personalised experience; there’s no cookie-cutter treatment plan to be seen here. Each patient is treated as the individual that they are, and the team work closely with them to ensure that their expectations are both achieved and exceeded. An in-depth analysis of the hair and scalp is necessary to deﬁne the most suitable procedure for each case. Thanks to its exclusive procedures, Meshkati is able to restore both density and volume of hair, regardless of the extent of hair loss – it’s simply a case of determining the individual’s needs. Nanoprocedure, it transpires, is an advanced and instant solution that allows for a complete or partial hair reconstitution, and all without side effects or contraindications. Thanks to a detailed hair analysis called DNA-matched, Meshkati selects substitution hair which matches with what you already have; not just in colour, but right down to the texture, thickness, and even the degree of waviness. Based on the desired hair density and the amount of existing hair, a specialist draws a pattern on the scalp for the procedure. The substitution hair is then distributed starting from the vascularised area between the existing hair. With this technique, Meshkati is able to reach any desired volume, regardless of the extent of hair loss. Unlike hair transplants, Nanoprocedure does not remove or damage any strand of hair. The intervention lasts 20 hours spread out over 2 to 3 consecutive days, though it can be stretched out over several weeks for a gradual increase in hair density. For advanced hair loss, meanwhile, the Ultraconnexe procedure is the recommended choice; a non-surgical solution, it’s suitable for those suffering from alopecia areata and alopecia universalis, and has been proven to offer some quite astounding results. Again allowing for a partial or complete hair reconstitution, the Ultraconnexe procedure offers unparalleled results, and thanks to the use of substitution hair, there are no constraints on the number of hairs that can be added. It all sounds like pretty impressive stuff – but just how exactly does DNA Matched work? One thing is for certain; the results speak for themselves, and Meshkati has counted many high-profile personalities amongst its clients. With a number of well-known celebrities going public with short-lived results of more traditional hair transplants, it has paved the way for other people to seek help for thinning or lost hair, providing a ray of hope for those who had given up on ever achieving their dream. And, with Meshkati’s revolutionary range of hair loss treatments now available in the capital, the future is looking brighter than ever. Meshkati may be Belgravia’s best-kept secret for now, but with results as impressive as these, minus the need to go under the knife, don’t be surprised if you hear your share of happy and glossy-haired customers shouting it from those luxury townhouse rooftops.